Pay off high rate credit cards, consolidate debt and more with a Personal Loan. A personal loan is an easy solution to give you the cash you need with no collateral required to secure the loan with a fixed monthly payment over a set period of time. Use it to pay off higher rate credit cards, consolidate debt, go on vacation, plan a wedding, and more. See all our low loan rates. Complete the loan application process without having to leave your home with DocuSign! Save with automatic payments! At closing, we can show you how to make payments through regular monthly deductions from your paycheck or checking account. 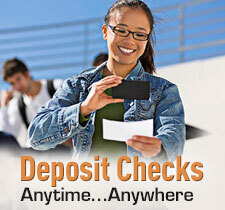 Ask for a .25% APR discount with automatic transfer payment from your CACU Checking Account. *Subject to a $50 processing fee with automatic payment transfer from a Community Alliance Checking Account. Other restrictions may apply. Payments shown are estimates. Your first payment is due 30 days after loan is closed/disbursed. With your authorization, the Credit Union can pull money from your other financial institution to pay your loan(s) with us electronically. When you sign up for this service you will no longer need to mail in a payment for your loan(s). Enrollment is easy. Complete this authorization form and return it to the Credit Union. If you need assistance, contact one of our Accounting Representatives.